After the wettest month of June in about a century, it looks like summer has finally arrived in Stockholm. After spending the day on Saturday playing with my new camera on the Baltic Sea in Nynäshamn, today started with a nice 9k run around Kungsholmen. It didn’t take more to convince me that I deserved a reward, which I would get at Nytorget. 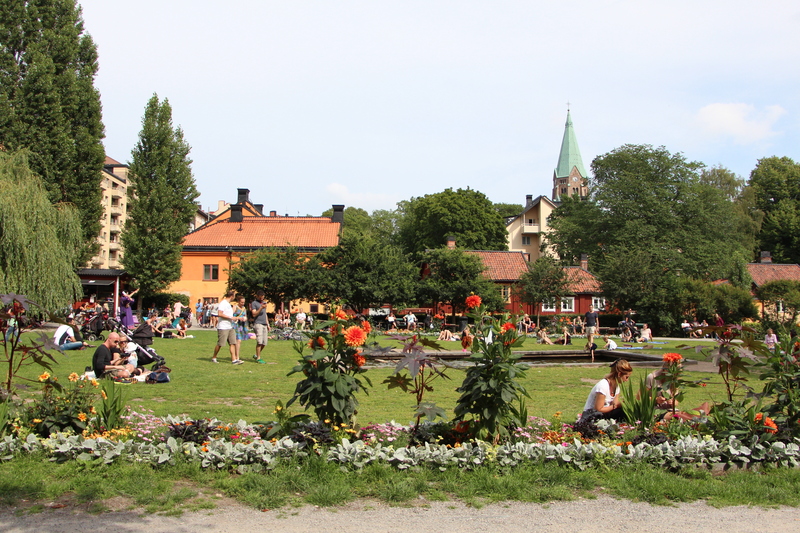 Nytorget is known in Stockholm to be THE spot for hipsters… well, you know me and hipsters? I still don’t know what hipsters are, but I enjoyed spending some time in the sun looking at them at Nytorget this afternoon. 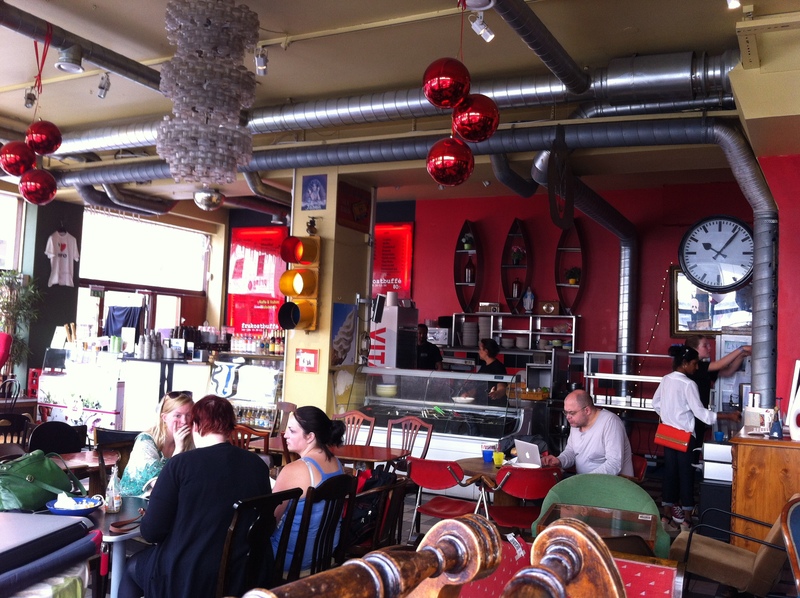 Nytorget, of course, is in Södermalm and, by definition, is surrounded by cool cafés and stores. While a lot of these stores are closed in summer, most cafés are open, with inviting tables on the sidewalk. When I decided it was time to leave Nytorget and walk a block to go to Café String, I was very pleased to see that there were tables available outside. I had been to String sometimes in the winter but for a reason that I can’t remember now, I never wrote about it here. More recently, I was there for the “Make Musik Sthlm” volunteers meeting. That meeting took place in the basement, however, and was not worth a blog entry on cafés. That being said it was quite clear that I had to go back to String and enjoy the café experience. It is, after all, a pretty cool place. Something’s wrong with the clock! Café String offers all kind of good sandwiches and salad. But that’s not the reward I was looking for, so I decided to treat myself with a nice piece of carrot cake and a double espresso. 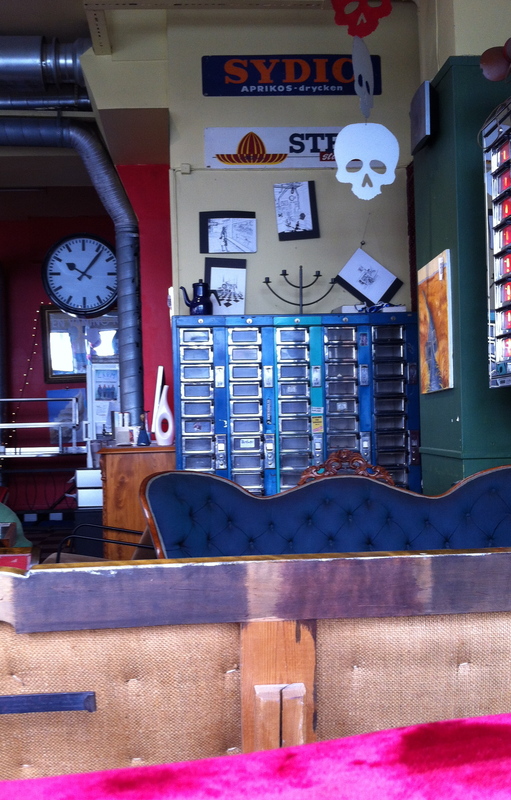 Café String has one of the best locations in Södermalm. It has a nice decor, good food and wifi. Of course, there are many other cool cafés in the area, but there are many good reasons to stop by Café String on a more regular basis. That being said, I knew from the beginning that a double espresso and a carrot cake would not be enough after the morning’s run. 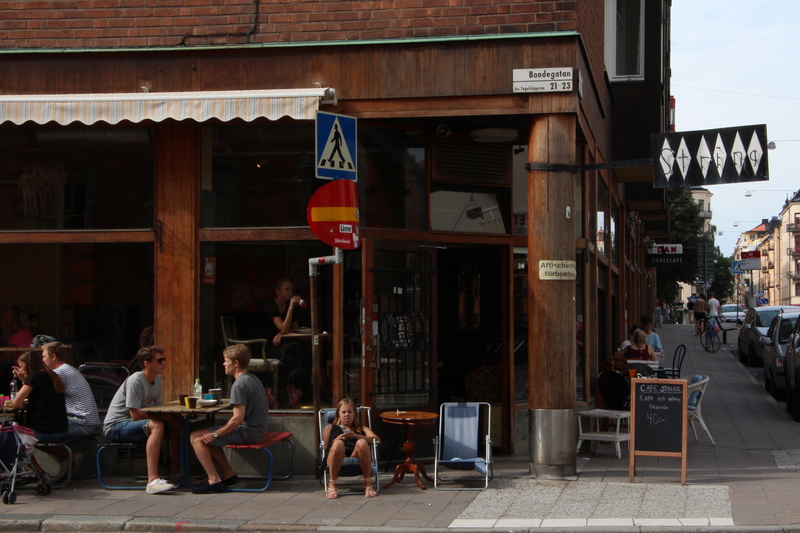 And if you remember the story about “Make Musik Sthlm“, you may also remember that there is a nice beer garder in my neighborhood…. 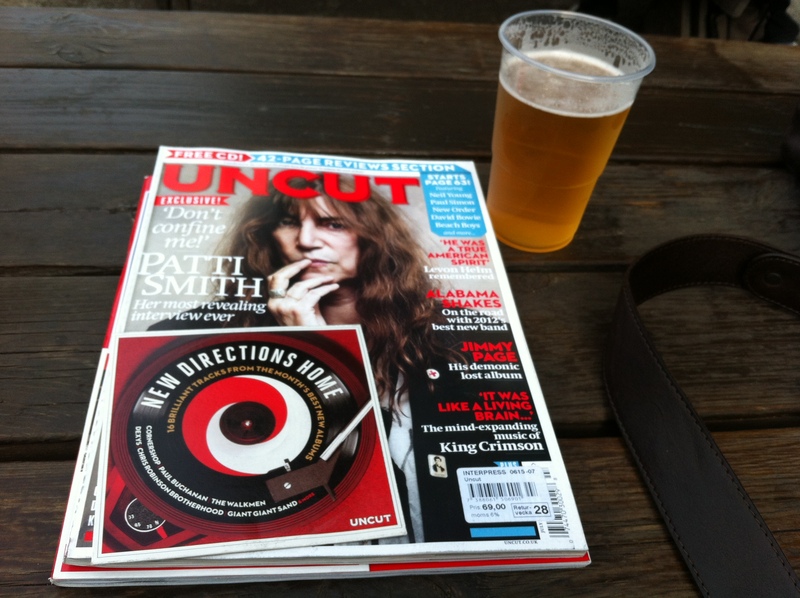 oh, and Patti Smith is playing in Stockholm on Friday night! Pingback: O dia em que voltei a Estocolmo « Chicken or pasta? Thanks! I was looking at your latest photos and thought I should spend more time outside of the city. Your part of the world is really beautiful. 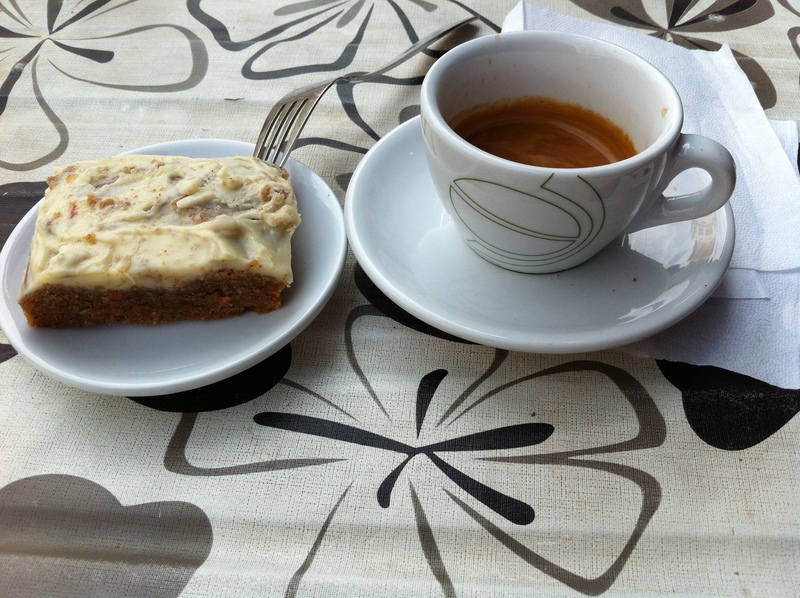 Carrot cake and espresso – sold! Now tell me, how’s the camera? Photos above, except the first one, were taken with the iPhone. I am still learning how to use the Canon but I like it very much. At least now I understand a bit more some of the parameters. I hope to use it more and more on this blog in the future.